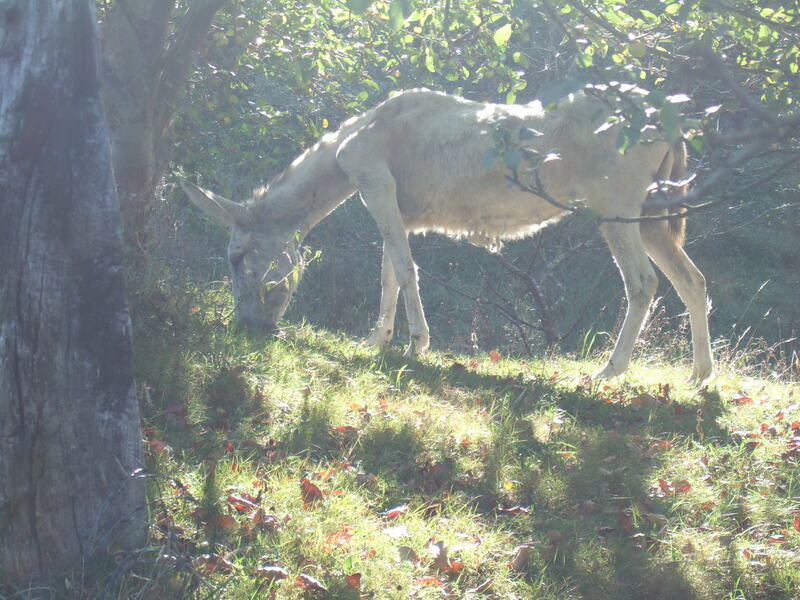 One of the most special and beloved donkeys of our sanctuary has died. Juliette had to live with a severely handicapped body, due to much too heavy work, but her mind was unbroken and she had a strong will to live. Juliette lived with us for almost two years. She died in her own time, in her own way. We found her in the morning in the stable, dead, the other donkeys standing around her. We don’t know if they miss her much, but all of us do. Juliette has made an enormous impression on all of us and will never be forgotten!